1. How to read your Chinese visa? 2. Do I need visa for Hong Kong and Macao? 3. Why do Chinese visas have different types and categories? 4. What is the relationship between the duration of stay and period of validity of a visa? 5. Does the number of entries have anything to do with period of validity of a visa? 6. How do I extend the duration of stay of a Chinese visa? 7. What would be the best time for me to apply for a Chinese visa? 8. Where do I apply for a Chinese visa? 9. Where can I apply for a visa? 10. Can someone submit my application to the Centre on my behalf? 11. Can I apply for a visa online? 12. Can I apply for a visa via a travel agent? 13. I want to tour China by driving my own vehicle; what type of visa should I apply for? 14. Do I need to apply for a visa beforehand if I plan to go to Chinese mainland? 15. What type of visa should I apply for? 16. What kind of documents should I provide for a visa application at a Chinese embassy or consulate? And is there anything particular I should pay special attention to? 17. How long in advance should I apply for a visa? 18. When can I get the visa after I submit my application? 19. What is the number of entries? What should I do if I have used up all the entries? 20. I am planning to go to Beijing with a British passport and then go to Hong Kong to travel for 7 days, and afterwards, back to Guangzhou, how many entries do I need to apply for? 21. When will my visa start to take effect? And when will it expire? 22. Can I change my itinerary after I’ve got my visa? 23. What does “Duration of Each Stay” mean? What should I do if I need a longer duration for my stay? 24. After I get the visa, can the validity period, duration of stay and number of entries be altered? 25. What are the things foreign citizens should pay attention to while in China? 26. Can I enter China as soon as I get a visa? 27. How can a foreigner travel in China on his own vehicle? Tourism management agency of the province or municipality where the applicant is located. A. Foreigners must travel with their vehicles. B. Foreigners with their own vehicle traveling outside open areas must stay with their own vehicles. C. There must be an approved Chinese organization to receive the foreigner and their rules must be obeyed. D. The vehicle must be lawfully registered in the local country or region. 28. What are the requirements for 72-hour transit visa exemption? 3) Transit passengers from the allowed transit airport for a third country (region). (1) Based on agreements signed between China and foreign governments, citizens of some countries who meet requirements set out in the agreements may enter China without a visa. For further details, refer to the List of Agreements on Mutual Visa Exemption Between China and Foreign Countries. (2) Holders of tickets of connecting journey and in transit to a third country or region by an international aircraft, ship or train via China do not need visa provided they stay for no more than 24 hours in China and do not leave the port of entry. 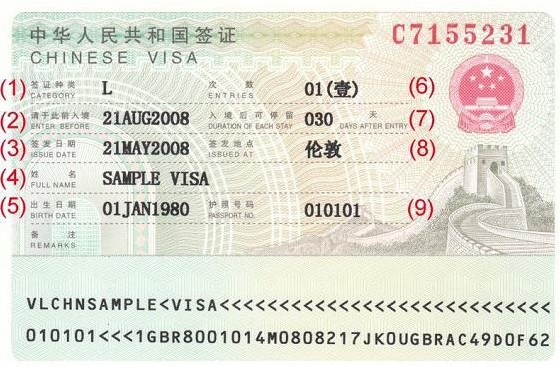 (3) No visa is required for citizens of the following countries provided they hold valid passports with confirmed onward tickets and seats on international flights, and transit through a) Beijing International Airport and stay in Beijing, or b) Pudong Airport or Hongqiao Airport of Shanghai and stay in Shanghai, or c) Guangzhou Baiyun Airport and stay in Guangdong province, or d) Chengdu Shuangliu Airport and stay in Chengdu, for no more than 72 hours: Austria, Belgium, Czech, Denmark, Estonia, Finland, France, Germany, Greece, Hungary, Iceland, Italy, Lativa, Lithuania, Luxembourg, Malta, the Netherlands, Poland, Portugal, Slovakia, Slovenia, Spain, Sweden, Switzerland, Russia, the United Kingdom, Ireland, Cyprus, Bulgaria, Romania, Ukraine, the United States, Canada, Brazil, Mexico, Argentina, Chile, Australia, New Zealand, the Republic of Korea, Japan, Singapore, Brunei, the United Arab Emirates, Qatar, Serbia, Croatia, Bosnia and Herzegovina, Montenegro, Macedonia, Albania. 30. Travelers from which countries can apply for the 72-hour transit visa exemption? 1) 24 Schengen countries in Europe: Austria, Belgium, Czech Republic, Denmark, Estonia, Finland, France, Germany, Greece, Hungary, Iceland, Italy, Latvia, Lithuania, Luxembourg, Malta, the Netherlands, Poland, Portugal, Slovak, Slovenia, Spain, Sweden and Switzerland. 4) 2 Oceania countries: Australia and New Zealand.